Most people have an opinion on controversial issues – but if you don’t have the vocabulary about the issues, it’s difficult to say what you feel in English. In this podcast you’ll learn the nouns for some controversial topics and improve your ability to express your opinion on them in English. In the pronunciation sections you’ll work on word stress and individual sounds. Download the Zapp! English Vocabulary e-Books NOW! Every Friday we publish a new episode of Zapp! 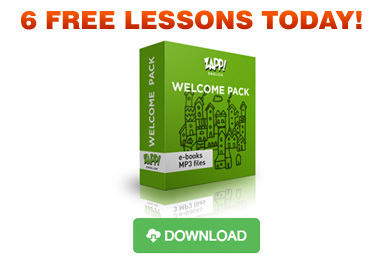 English Vocabulary & Pronunciation, but you can get immediate access to all 32 audio classes and e-Books with the Zapp! English Vocabulary e-Book Pack, available now in our shop. You’ll also get some extra bonuses FREE! Visit our iTunes channel for Zapp! English Vocabulary & Pronunciation – Click on ‘Subscribe free’, and be the first to get our new English Vocabulary podcasts FREE!